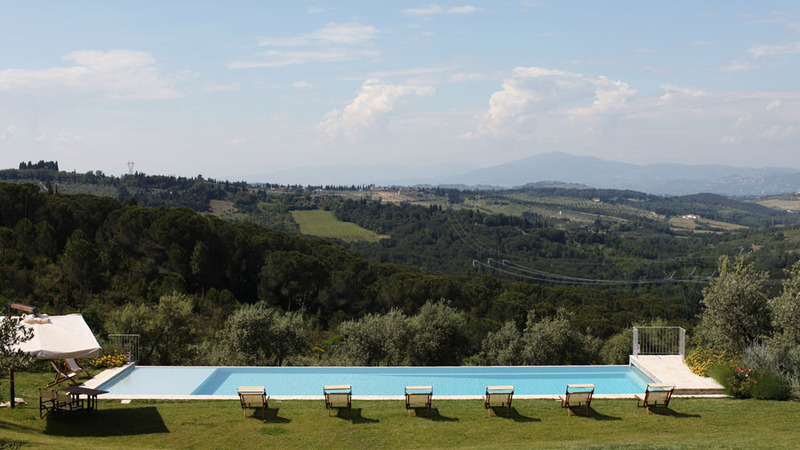 A 20-minute ride from Florence, Le Argille is located in Strada in Chianti, just off the historic Chiantigiana road that traverses the Chianti region. Its convenient location near the cradle of the Renaissance allows for short trips to the city's myriad museums, churches, excellent restaurants and shopping. Meanwhile, its location in the heart of the wine country allows for an oasis in nature, protected from tourists. The nearby towns of Impruneta, where terracotta originated, and charming towns like Greve in Chianti and Siena, are full of artisan shops, vineyards that offer wine tastings, castles, churches, restaurants with traditional Tuscan cooking, and roads with unforgettable views of the Tuscan countryside. There are many opportunities for sports, including golf at the world-renowned Golf Club Ugolino (10 min away), horseback riding and tennis.